Sunless tanning is becoming more common in Canada due to only having a few months a year that we can tan outside. 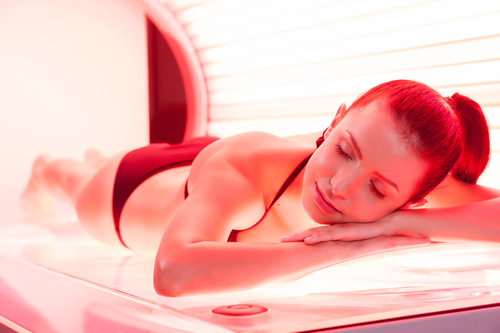 Most of these sunless tanning options have actually proven to be quite beneficial when compared to sun bathing. For example, spray tanning allows you to change the tone of your skin to a beautiful golden color without damaging the skin with harmful UV rays. As long as the spray is applied evenly and none of it is inhaled, the results are very similar to sunbathing but without any of the negative side effects. 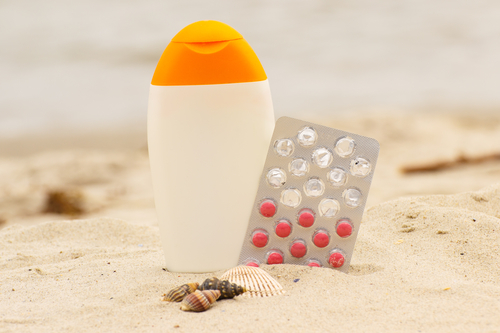 Sunless tanning pills which are becoming quite popular, on the other hand, are not a good alternative to sunbathing. Unfortunately there is no such thing as a “magic pill” that will make your skin tanned, despite what some of their claims may be. If you were thinking of using tanning pills make sure you read this article so that you are aware of the risks associated with them. How do tanning pills work? The claim behind how tanning pills work is that they are full of color additives, which when ingested in these high doses, will change the tint of your skin. Most often the color additive used in tanning pills is canthaxanthin, which is common in food products but in much smaller concentrations. When you ingest canthaxanthin in the high concentration found in tanning pills, the coloring substance goes into several parts of your body including the skin where the color can become visible. Usually the color that appears on your skin is an orange or brownish color, much different from the tone you would get when sunbathing or spray tanning which results from a natural increase of melanin in the skin. When you take tanning pills, the high concentration of canthaxanthin will get deposited into several parts of your body, not just in your skin. One area that this color additive has been known to appear is in the eyes in the form of yellow crystals. This is very dangerous and can cause impaired vision. Another part of the body where canthaxanthin has been found when ingested in such high doses is in the liver. This can cause liver damage in people who ingest tanning pills, which unfortunately can not be reversed. If you are looking for a perfect tan but don’t have the sunlight necessary to accomplish this, do not resort to taking tanning pills. There are other methods available such as sunless tanning lotions, spray tanning and UV tanning beds that are much safer than ingesting high doses of a color additive. Enter your details to receive our tanning special promotions. 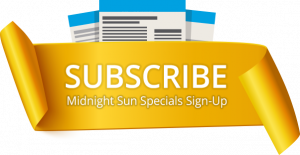 We usually send 4 emails annually with special deals & coupons.